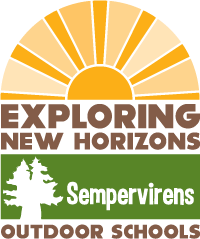 Exploring New Horizons Outdoor Schools at Sempervirens offers 4-5 day outdoor programs to fifth and sixth grade students. Established in 2001, Sempervirens can accommodate from 65-100 students at a time, allowing schools to reserve the entire site for a more individualized experience. Providing a quality environmental education, Sempervirens offers scholarship programs to underserved children. 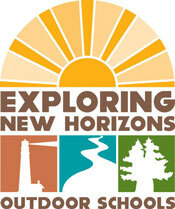 Based on the Loma Mar curriculum model, Sempervirens exposes children to a wide variety of eco-systems. Highly trained naturalists introduce students to the wonders and mysteries of the Big Basin redwoods, rich coastal oak and madrone groves, lush marshes and meadows, tide pools at Natural Bridges, organic gardening, and the excitement of meeting goats and chickens for the first time! Learning social skills while hiking, working in the garden, dancing at the Barnyard Boogie, singing campfire songs and making music together brings the magic of childhood alive, while instilling a lifelong love of nature.